Protein Blend (Milk Protein Concentrate, Whey Protein Isolate, Milk Protein Isolate), Yogurt Flavored Coating (Maltitol, Palm Kernel Oil, Milk Protein Isolate, Nonfat Dry Milk Solids, Nonfat Yogurt Powder [Nonfat Dry Milk, Lactic Acid], Soy Lecithin, Natural Flavor), Glycerin, Syrup Blend (Rice Syrup, Grape Juice Concentrate), Chicory Root Fiber, Isomalto-Oligosaccharide, Water, Sunflower Oil, Calcium Caseinate, Natural and Artificial Flavor, Sugar, Salt, Cornstarch, Mixed Tocopherols, Sucralose, Confectioner's Glaze, Carnauba Wax, Yellow 5, Blue 1, Red 3, Red 40, Yellow 6, Blue 2. NOTE: The Nutritional Information & Ingredients is for Birthday Cake flavour. These may slightly vary depending on different flavours. Birthday cake was probably the best flavour. Come in packs of 3 which is good and bad. 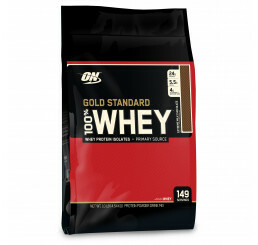 Quiet a lot to eat to get the whole 20g of protein but at the same time good if you want something to fill your stomach. Texture is somewhat similar to a quest bar, a little smoother and not as chewy or hard. Aminoz just keeps delivering excellent products and service. ON Cake Bites are delicious... 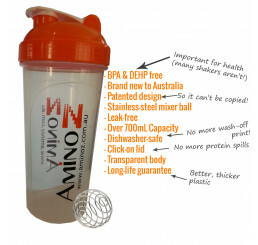 Very quick delivery and constant updates on products makes Aminoz the best supplement company in the market hands down!!! 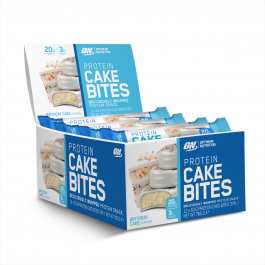 A great treat if you’re after something sweet but don’t want to ruin your hard work with junk food. 20g of protein, a great little sweet snack. What needs to be said, well if I didn't keep on forgetting to add these to my online orders I wouldn't have to go to the local supermarket and purchase them. 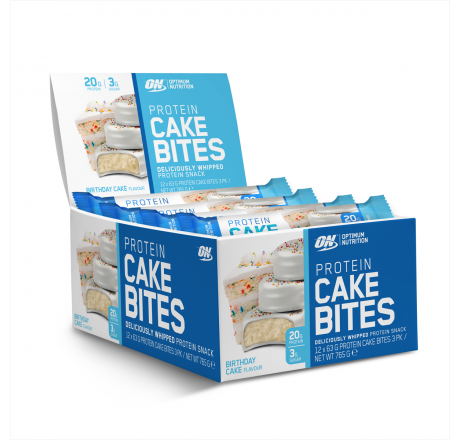 These little suckers are great, take them to work and they are perfect for a snack throughout the day.I have only ever tried the birthday cake flavoured ones but yep a real winner here. This bar has amazing taste luv it and full of 20 gm protein which is best snack to full fill the amount of protein in a meal . It's delicious . But should've mentioned the item is expiring really soon .